For long eye relief scope or a none magnified red dot / reflex sight. They have allen screws threaded through the rail with set screws to secure them for levelling the rail. 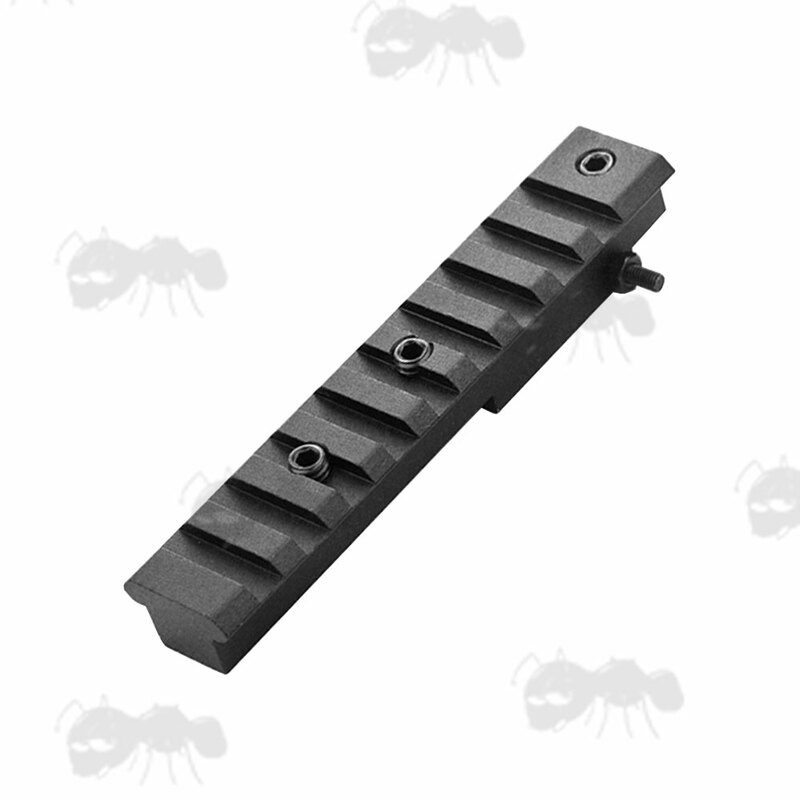 Replaces the rear sight leaf on your Nagant rifle. 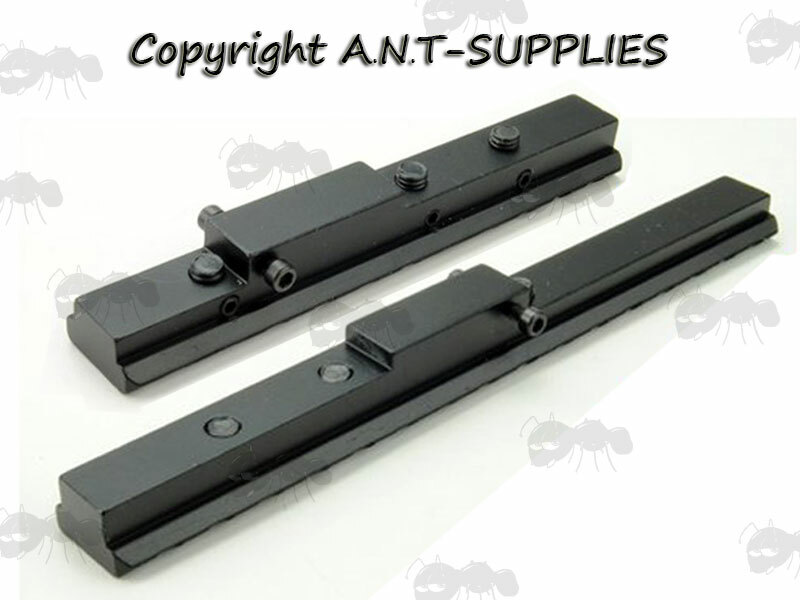 To fit your 20mm wide weaver / picatinny mounted sights to Mosin Nagant rifles. 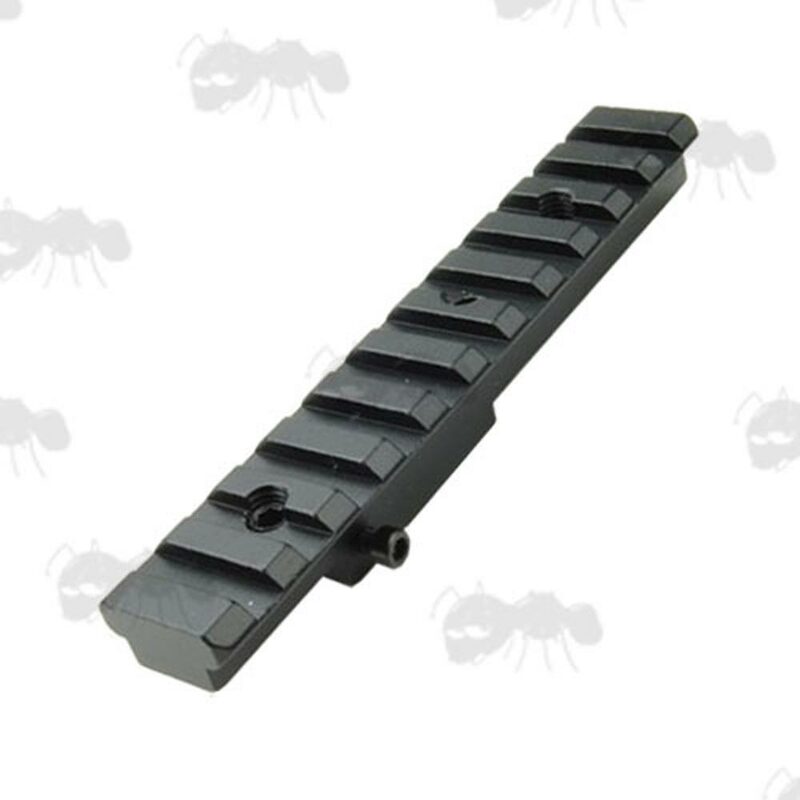 The long version should fit Mosin Nagant 91/30, M38, M44, Hungarian, Chinese 53 and Russian Mosin Nagants. 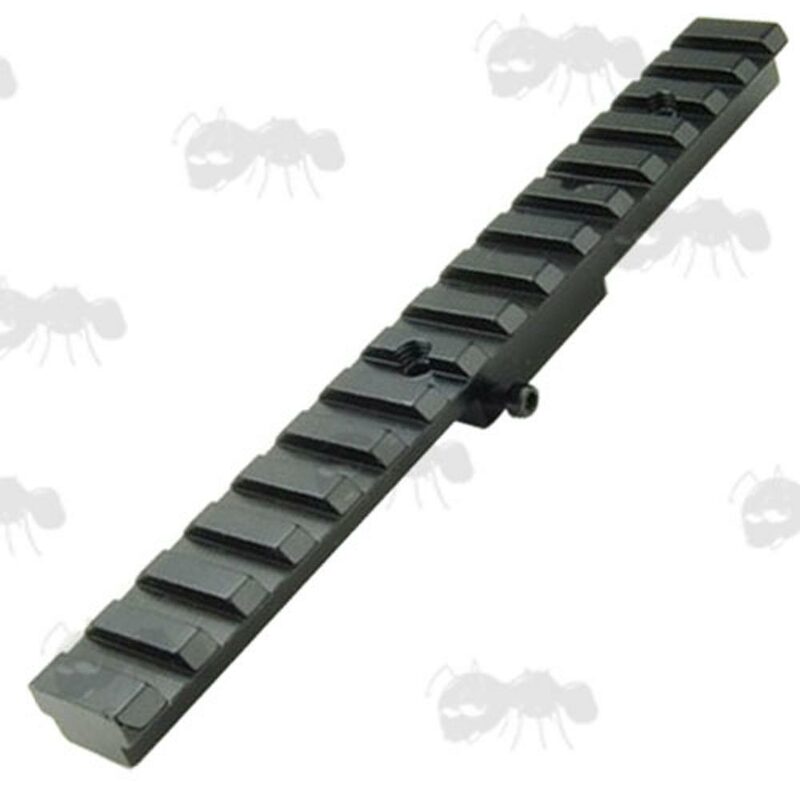 Also available ~ Mosin Nagant stock extender pad.